Tip 12: Understanding Blackjack Insurance. When Taking Insurance Can Benefit You. This is the 12th tip in our series, “How to Play Blackjack: 21 Winning Tips.” If you would like to view these tips offline and at your leisure, just click for the Fort Myers Beach location or the Myrtle Beach location. … on the odds of probability. 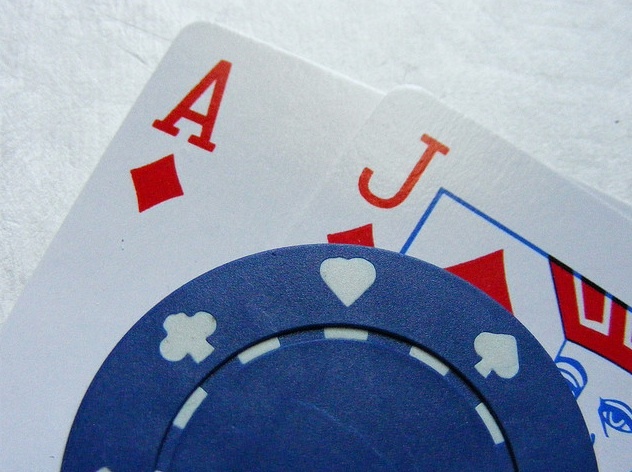 Tip 11: Blackjack Strategies. 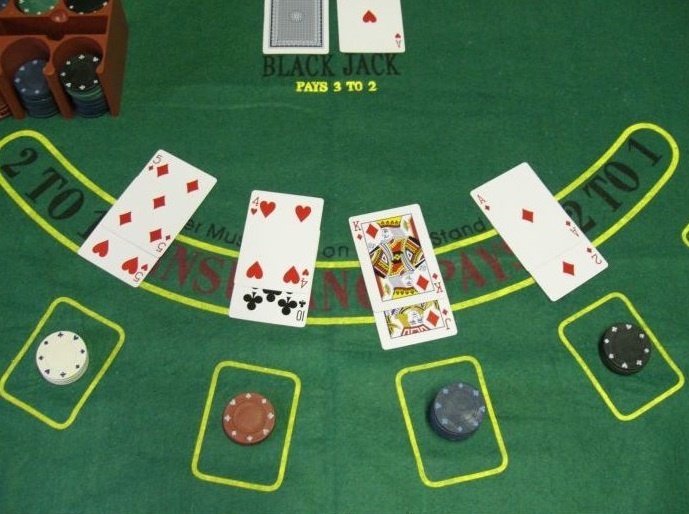 Different Ways to Play Blackjack for Different Level Players. This is the 11th tip in our series, “How to Play Blackjack: 21 Winning Tips.” If you would like to view these tips offline and at your leisure, just click for the Fort Myers Beach location or the Myrtle Beach location. This is the 10th tip in our series, “How to Play Blackjack: 21 Winning Tips.” If you would like to view these tips offline and at your leisure, just click for the Fort Myers Beach location or the Myrtle Beach location. 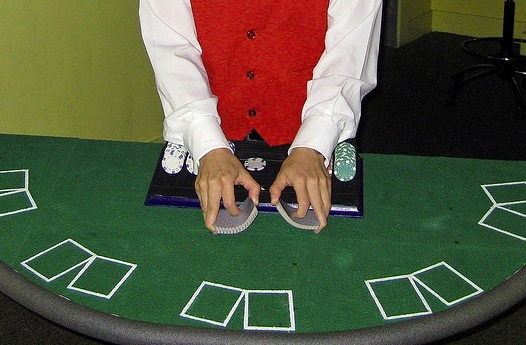 …actually plays by a different set of Blackjack rules than the player. 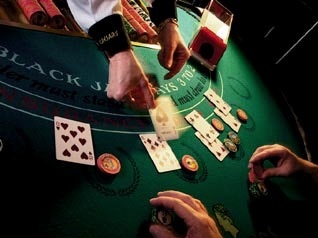 Blackjack Odds are “You will win some and you will lose some”. This is the 9th tip in our series, “How to Play Blackjack: 21 Winning Tips.” If you would like to view these tips offline and at your leisure, just click for the Fort Myers Beach location or the Myrtle Beach location. You gotta know when to hold em, know when to fold em. Know when to walk away and know when to run. This is the 8th tip in our series, “How to Play Blackjack: 21 Winning Tips.” If you would like to view these tips offline and at your leisure, just click for the Fort Myers Beach location or the Myrtle Beach location. 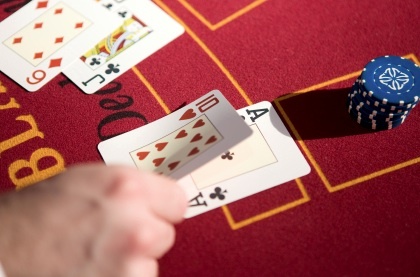 …but lets delve deeper on when is the right time to use these Blackjack strategies. 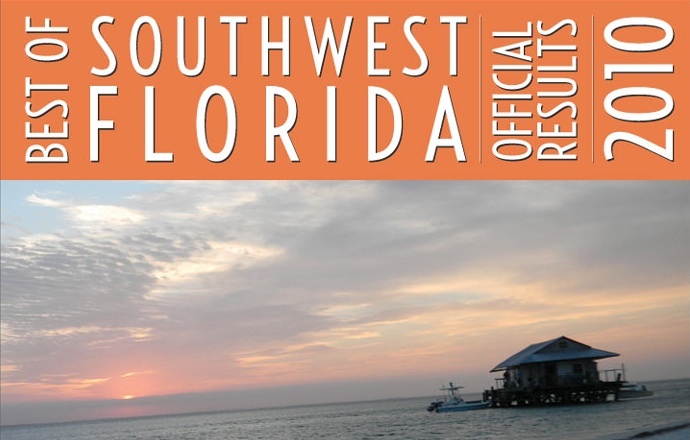 …your favorite place to gamble, the Big “M” Casino, has won the 2010 Best Place to Gamble in SW Florida! 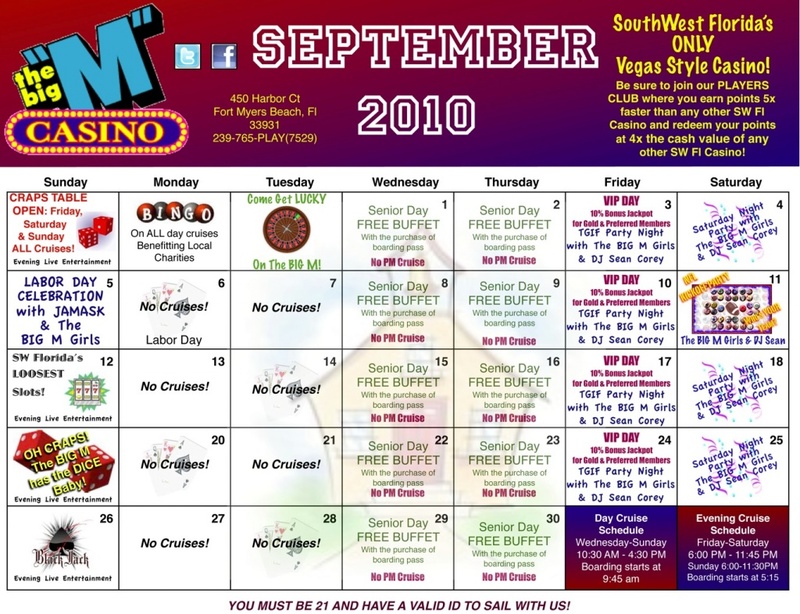 Big “M” Casino Fort Myers Beach Events Calendar for September. …time for your monthly Fort Myers Beach events calendar update! 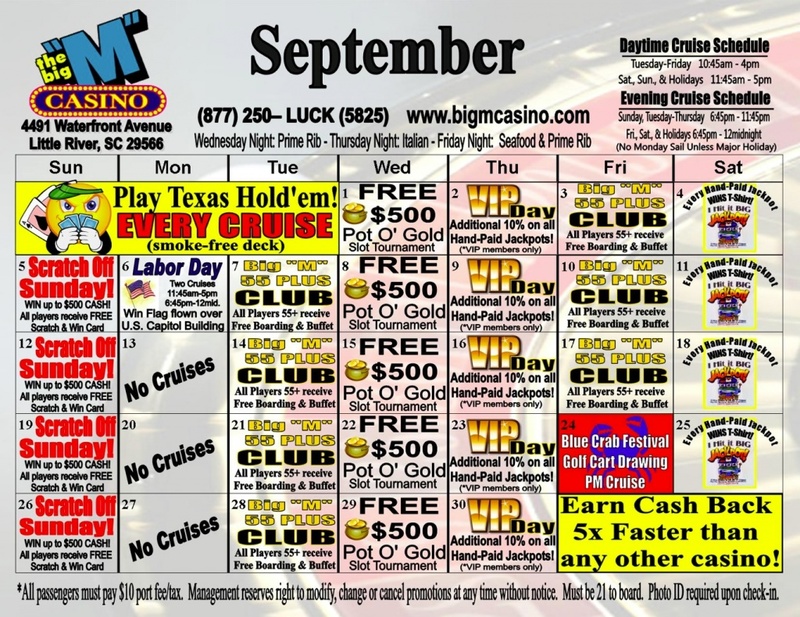 Big “M” Casino Myrtle Beach Events Calendar for September. …Big “M” Casino event in this beautiful month of September, would you?